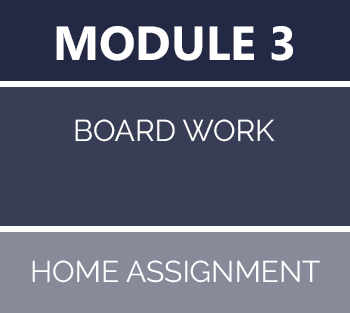 AT HOME EDUCATION™ is a flexible online course, which focuses on giving you inspiration for the board work. You will be able to get the newest knowledge about creating board value and developing business, whenever it suits you. This means that you will be taught at home, at work or wherever it may suit your needs, instead of having to meet up for fixed teaching modules. Personal coaching that suits your specific situation and needs, which will be clarified and developed upon. A lot of people are having trouble with finding the time for an education or a course, despite their will and motivation to learn new things. AT HOME EDUCATION™ addresses this issue and provides the opportunity of learning whenever it suits you – while traveling, between meetings or at home in the evening. AT HOME EDUCATION™ gives you access to the newest models, tools, as well as individual feedback upon how to use these in the correct context. This means that you will be taught methods, whose effect and value are proven. You will also get the possibility of complementing the course with personal competent feedback, where your situation will be discussed and developed upon. This means that you can develop yourself and thus creating a board identity as a capable board member. 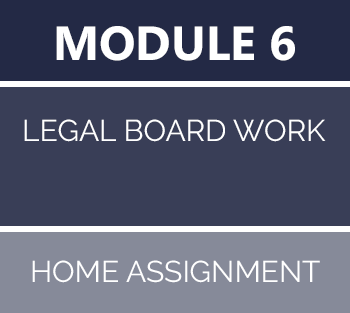 The course is built upon 6 modules, with each one consisting of a compendium and a home assignment. 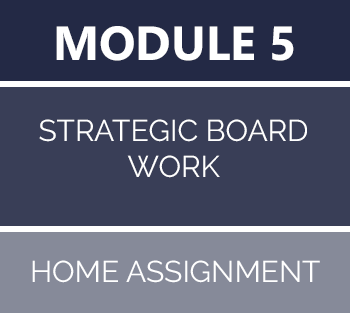 You will get personal feedback on all your home assignments, which means you will continuous feedback in your own tempo, thus developing your knowledge about modern board work. Upon completing AT HOME EDUCATION™, you will be able to develop your skills on further levels. There is a difference between participating in a course and getting a board education – both in extent of the demands and expectations there is to your learning. 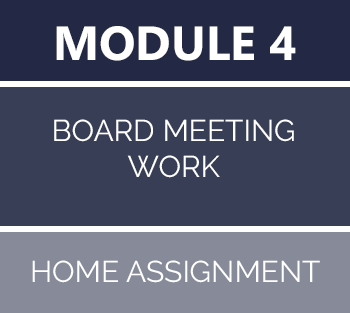 We have created the course as such it will be possible for you in the future to participate in one or more board educations, based on what your ambitions are, and how much time board work should take up of your work life. 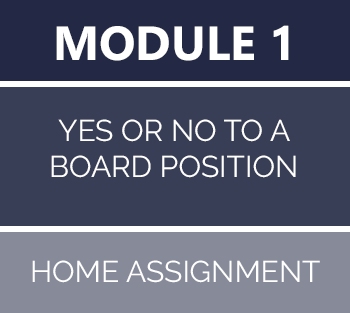 Whatever ambitions you might have, it is possible to get new inspiration for modern board work through AT HOME EDUCATION™. It can also be the start of a new career path, where you will receive documentation of your personal capabilities in relation to board work. You are also very welcome to contact us for a noncommittal conversation. We look forward to hearing from you. What do you expect to achieve on the education/course? What interests you? Have you earlier had positions of trust which has not had a relation to your current work? How do you prioritize these positions of trust? Will your company pay entirely or partially for your participation in the education/course? Where have you heard about the education/course? Who have you been in contact with at BOARD GOVERNANCE? I accept and understand that the registration is a binding agreement, and that I will register as a participant on the education/course. The fee is a binding agreement, and without possibility of refusion.